Let it snow.... No more! It is on the morrow of the new storm of the century that we are happy to announce that Spring is finally on our doorstep. And this much anticipated Spring will bring the Octopus users day, that is becoming a habit and an equally awaited version that will contain the multi team collaboration. Without further ado, we invite you to read the new Spring 2017 newsletter. Please note that all the activities during this event are in French only. This event is not to be missed if you want to learn more about Octopus! This year, we have close to 25 sessions for you! New: several training session on subjects targeted according to your interests. View the program and schedule for more information. If you would like your organization to be billed, please contact Jérôme Baldini at jbaldini@octopus-itsm.com. Looking forward to seeing you on May 29th! Octopus version 4.2 is about to be delivered and we are proud to present the multi team collaboration. Many of you use Octopus for building management, but did you know that you can use Octopus to plan your scheduled maintenances? 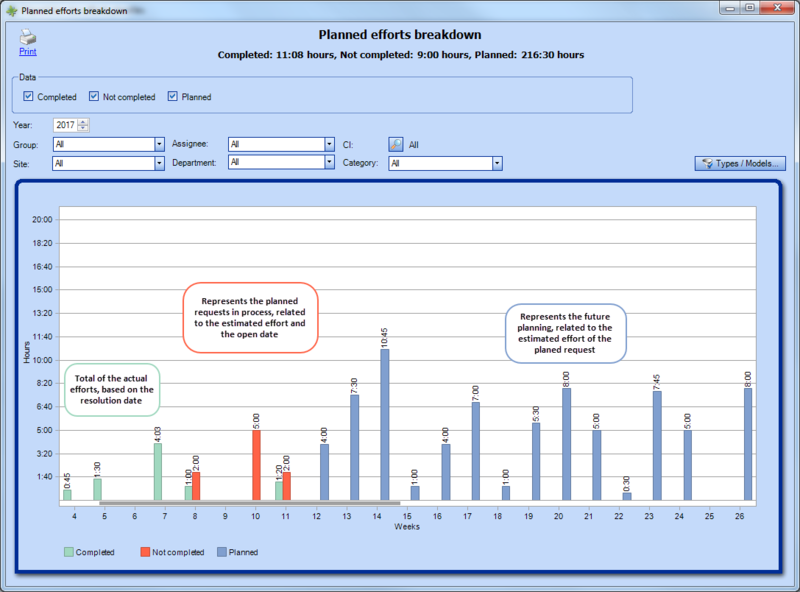 And now, it will be easier to plan maintenances for specific weeks and visualize the planning in a graph that represents the distribution of the planned efforts. This new chart will be available in Octopus version 4.2. To find out more about planned requests in Octopus, refer to article on Planned Request Management. To discover in details our evolution over the last months, please visit our Release Notes articles.